Becoming a Doctor is itself an uphill struggle. Congratulations on that, but as they say life is a constant struggle. You perhaps landed on this article because now you are looking for ways to get more patients. After all whats a doctor without a patient. 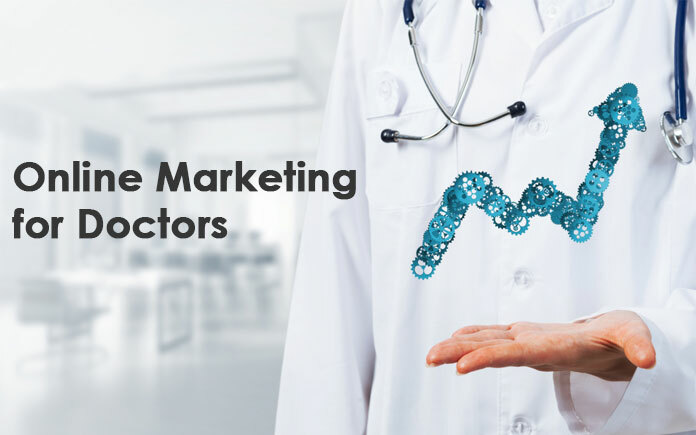 Whether you are running a big or medium size hospital, you have a clinic or you just want to make your practice visible on the internet, you must apply a definite and strategic marketing approach. Online marketing is now dominating every aspect of the business. Medical professionals are no exception to this. Here are 11 Best marketing strategies you can apply as a medical professional to bring in more patients. The website is the first thing someone looks for when a patient is trying to get information. By having an amazing website I don’t mean that it should come with fancy graphics and colors, rather the website should be well organized so that user can find easily what he is looking for. What are the credentials of the doctor! Success stories or feedback from previous patients. How to contact him/her/ them. How to get an appointment. Make sure a visitor should not have any struggle in finding the above pieces of information. You might wanna consider hiring a website development agency for this purpose. Approximately 93% of online experiences begin with a search engine and 72% of consumers who did a local search visited a hospital or a clinic within 5 km. So people are more likely to look in their vicinity. Listing your business on GoogleMyBusiness and Bing Local Business will help a lot. Try adding your business to local business directories too i.e. yellow pages, JustDial etc. Make sure that the Name, Address, and phone number should remain the same through all these listings. The name, address and phone number on these listing should be consistent with your GoogleMyBusiness and Bing Local Business listing. Keep the Address, phone number and email address consistent across all local listing platforms. Put accurate timing for the place and update is whenever there is a change. Social media is ruling these days. You should have your presence on all popular social media sites. Add health-related tips and safety measures too. Users are more likely to send you a message via Facebook page or they even might put their problems in the comment section. Always try to be prompt in replying to such messages and requests. This will ensure your visibility in search results. Create and Post Engaging Social Content and post regularly. Response to the queries and messages on social media in a manner. Monitor and analyze the engagement on your page and make your strategies accordingly. Blog writing gives your patient an indirect way to communicate with you. Via blog writing, you can also cut down on the time that you spend with your patients explaining some trivial kinds of stuff. Blog writing signifies that passionate about your profession. Reviews are great conversion factors. Lest assume that the hard work that you put into promoting your practice has now started to bear fruits but there is a catch. A patient will still try to find a reason whether he should contact you or not. Reviews of your business will help him clear his doubts. Patients reviews also improve your visibility on the search result. You can sometimes face some negative reviews. Someone might say harsh words about you, don’t lose heart. You can’t accept rainbows and butterflies all the time. The best way to deal with negative reviews is in response to that. The reply to a negative review tone down the harshness. This shows that the practitioner or doctor is aware of his actions and he is taking full responsibility for it. Response to reviews especially if it’s negative. This lessens the negativity and it will send a message to the viewer that you are concerned about the business. Always look for if somebody is bad mouthing about your business. In such cases confront the person to ask him to remove the negative content about him. Always answer to questions aksed on Google Listing. Just like blogging, a video on YouTube is a way to community with your patients before they come to visit you in person. Patients can make himself/ herself with your personality and aura by watching you in the video. They will feel comfortable when they visit you in person. You can add a video of your specialty. Live chats are an instant connection to your audience/ patients. Nowadays there are millions of ways to connect via live chat. To name a few Google Hangout, Facebook lives, Instagram live. You can schedule your live chat and make people informed about the same. Even if a number of people are not available for the live session the same video can be used later on. This way you will be more accessible to patients. The portal-like Practo and Lybrate or WebMB to claim your practice. These websites have trust among their users regarding the charges and reviews to a doctor. This is one of the oldest and proven methods of getting your word out there. “FREE” attracts people. A free medical camp can be done with the collaboration of your fellow practitioners. Housing societies, school, colleges are the ideal places to organize a free medical camp. Direct marketing to physicians is another one of the old tried and tested methods. General Physicians are the first in line person, a patient turns up to in case or a disease or ailment. Last but not least you can always opt for online advertising tools like Google Ads and Bing Ads. These are PPC or Pay Per Click ads that make your business or practice display above the organic search results.